Welcome to Binoculars Guru's - A Definitive Guide of How To Choose Binoculars for different applications; what you need to know. In this guide, you will learn the bull's eye criteria that you must need to keep in mind before going to shop for binoculars. This guide is designed for Hunter, Bird Watcher, wildlife viewer, Safari lover, hiker, astronomy & Stargazer and the Military person who must need binoculars. By the way, If you are in a hurry and don't want to read the full guide, Then I will advise you check out the table of the content section or quick reading options below for your specific needs. When you go binocular shopping, expect to be bombarded with a wave of options of varying prices and features. Also, expect to part with a substantial amount of money if you want a good quality pair of binoculars. Especially since a pair of binoculars is a long-term investment that should pay off. Therefore, when shopping for binoculars, it is important that you know what to look for. Essentially, it is important to learn how to choose binoculars. Different types of binoculars appeal to different users. Thus, your choice of binocular will depend on how you intend to use it. Also, it is important to know the different terminologies used in reference to binoculars. These terminologies include : field of view, exit pupil, eye relief, aperture, and Interpupillary distance. Let us look at each one of these terminologies individually. What is Magnification in B﻿inoculars? So how do you know whether a binocular has a Bak4 or Bak7 glass? What is Anti-Reflective Coatings in Binoculars? What is Field of view in Binoculars? What is Aperture in binoculars? What is Magnification in Binoculars? Binoculars are referred to by their magnification, which is how much a binocular magnifies an object. For example, if a binocular has an 8X magnification, it means it will make the far away object appear 8 times larger than they would if you looked at them with your naked eyes. Binocular lenses are manufactured from glass materials. Therefore, you are likely to encounter several terms relating to lenses when shopping. One of the most common terms used is extra low dispersion glass. Lenses made using this type of glass offer clearer and sharper images. Thus, I recommend going for binoculars whose lenses are made using either extra low or low dispersion glass. Some manufacturers use specialized glass materials called eco-glass. These materials are usually free of arsenic and lead. So if you are cautious about the environment, then binoculars with such types of lenses will appeal more to you. As for the prisms, binocular prisms are crafted from either Bak7 or Bak4 glass. Bak4 is costlier than Bak7 glass and is of a higher quality. Thus, many high-end binoculars are fitted with Bak4 prisms while mid-level Binoculars feature Bak7 prisms. Bak4 prisms transmit light better and minimize loss of light through reflection. There is a simple test you can do. This test entails holding the binocular some 6 to 8 inches away from and looking through the objective lens. If when you look you see a squared-off image, then that is a Bak7 glass. But if you look and the image appears rounded, then that is a Bak4 prism. Anti-reflective coatings are thin, transparent films applied over a binocular’s glass surface. The purpose of these coatings is minimizing reflection of light. Thus, these coatings improve a binocular’s light transmission and image brightness. Binoculars can be coated, fully coated, multicoated or fully multicoated. Coated lenses have one layer of antireflective coating on them. Usually, only the outer glass surfaces are coated. Fully coated on the other hand means that all glass surfaces are coated. Multicoated means that the outer surfaces are coated with several layers of antireflective coating. Fully multicoated means that all glass surfaces are coated with several layers of antireflective coating. One of the most heated debates among binocular users is which type of binocular between Roof and Porro prism binocular is better. Porro prisms ruled the binocular market before the introduction of roof prisms binoculars in the 1960s. By definition, a roof prism binocular is one whose eyepiece and the objective lens are in a straight line. This means that light goes straight to the eyepiece through the objective lens. Porro prism binoculars, on the other hand, have a zig-zag design. Roof prism binoculars are lighter and more compact that their Porro prism counterparts. However, roof prism binoculars are more complex and thus are more costly than their traditional Porro prism counterparts. Personally, I prefer room prism binoculars to Porro prism binoculars. However, Porro prism binoculars are cheaper and offer greater value for money. Additionally, thanks to advancements in technology Porro prism binoculars are today able to compete with their room prism counterparts. Also, modern Porro prism binoculars are lighter than their earlier counterparts. Thus, the type of binocular you choose will depend on your budget and preferences. Theoretically speaking, relative brightness index refers to how bright an object ought to be when viewed through a binocular. This index is got by squaring the exit pupil. So let us say a binocular has an exit pupil of 6.25, its relative index will be 37.5. I have arrived at this number by multiplying 6.25 by 6.25. The term field of view is used to refer to the size of the circular area you are able to see through your binocular. This distance is measured in feet at a distance of 1000 yards. In simple terms, the field of view is how much you are able to see through your binocular. The exit pupil is the amount of light that is visible through your binocular’s eye piece. This amount is measured by dividing a binocular’s objective lens with the magnification. Therefore, if a binocular has a magnification of 8X and an objective lens of 42 mm its exit pupil is 5.25. The wider the exit pupil, the brighter the image appears. Eye relief is the distance between a binocular’s eye piece and your eyes. This distance is measured in ft. A long eye relief reduces strain especially for people who wear glasses. Aperture refers to the diameter of a binocular’s objective lens. A big aperture translates to higher light transmission and therefore a brighter image. The interpupillary distance is the distance between your two eyes. 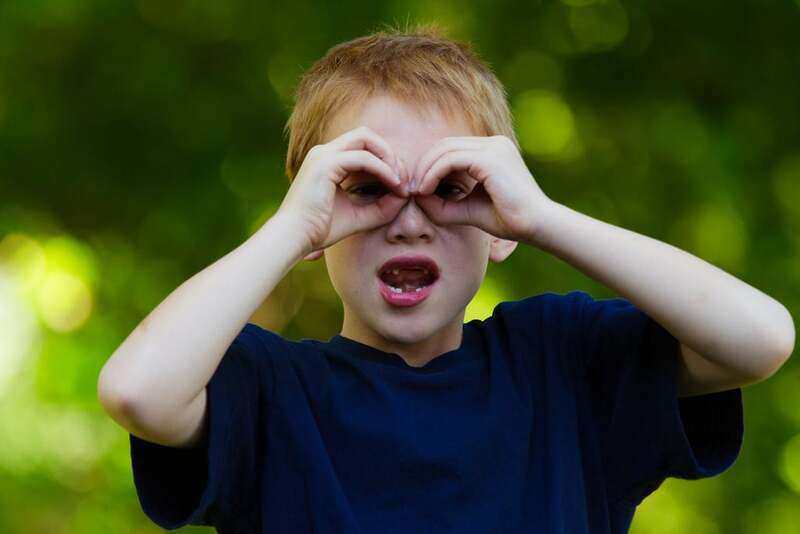 Binoculars can be adjusted according to a person’s interpupillary distance. Most binoculars can be adjusted within a range of between 60 mm and 70 mm. To know what to look for when buying binoculars it is wise to categorize binoculars. 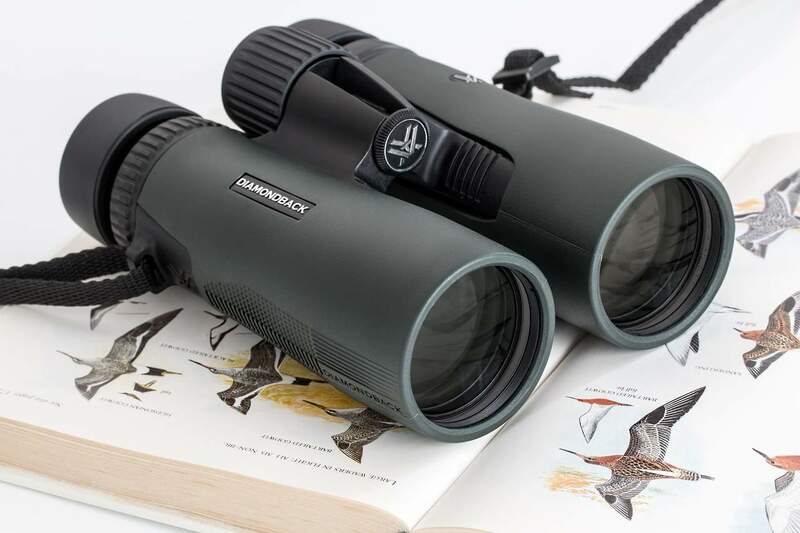 If you are in the market for a pair of binoculars to use during hunts, there are number of things you will want to consider, number one being magnification. For hunting, a binocular with a magnification of 7 to 10X will do just fine. Anything beyond 10X will prove difficult to steady while in the field. As a hunter, myself, I recommend going for a binocular with an 8X magnification. An 8X magnification is best complemented by a 42 mm objective lens. However, if you hunt at night ﻿a binocular with a 50mm objective lens might be a better option. Nevertheless, such a binocular will be bulky and might weigh you down. One of the most important factors you need to consider is the field of view. Of worth noting is that increase in magnification narrows the field of view. Therefore, for hunting purposes, a lower magnification will be better than a high magnification. Thus, if you want to know how to choose binoculars for ﻿hunting, be keen on the following specs. Well These Awesome 10 tips of choosing hunting binoculars will help you most. Have a look this infographs. Please include attribution to https://binocularsguru.com with this graphic. The primary purpose of buying binoculars for bird watching is to get a closer and detailed look at the birds you are watching. Therefore, a good binocular for bird watching needs to have a good magnification power. Ideally, a maximum magnification of 10X is recommended. However, it is important to remember that a wide field of view is also important for bird watching. Thus, an objective lens of 50 mm will be ideal. A 10X50 binocular will give you a better image quality and a wide field of view compared to a 10X42 binocular. However, a 10X50 binocular might require a tripod to stabilize. Regarding the focusing mechanism, as a bird watcher, you will be served better by a binocular with a central focusing knob. Binoculars with two separated adjustments for the two eyepieces are not ideal for birding. 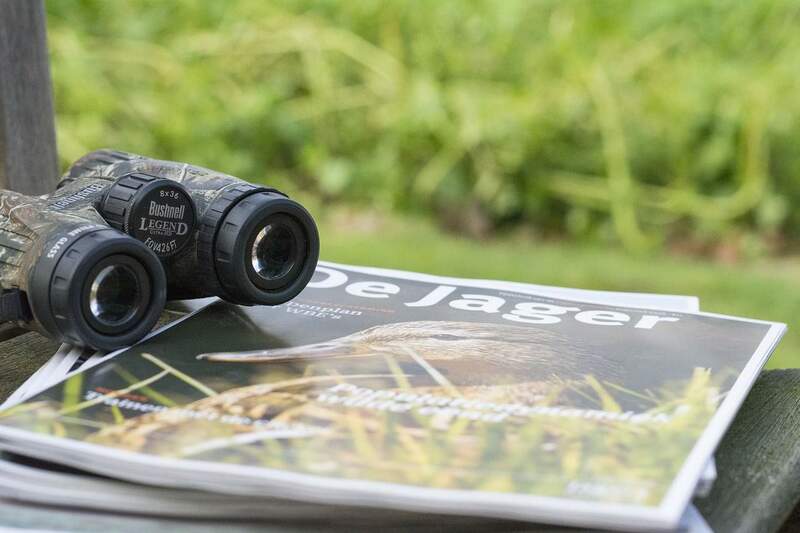 To understand how to choose binoculars for bird watching, be keen on the following specs. There is no much difference between binoculars designed for bird watching and those designed for wildlife viewing. 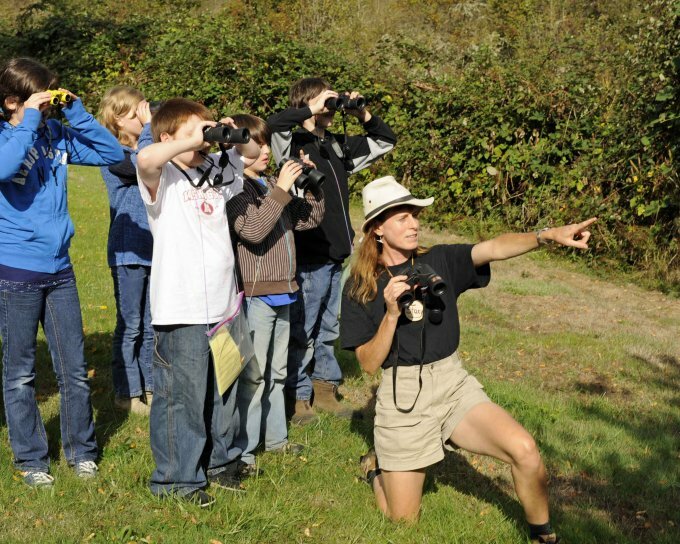 However, your preferences and budget will be crucial when learning how to choose binoculars for wildlife viewing. If you are on a strict budget, then a Porro prism binocular will give you excellent value for your money. On the other hand, if money is not a problem, then a pricier phase corrected roof prism binocular will give you quality for your money. It is important to note that roof prism binoculars are long lasting and less susceptible to damage. In regards to magnification, it will depend on the kind of viewing you are engaged in. If you want binoculars for viewing wading birds a 10X magnification is recommended. Contrastingly, if you want binoculars for viewing animals in enclosed environments such as in woodland areas an 8X magnification will be ideal. To enjoy the beauty and marvels of an African safari, it is important that you travel light. That being said, a compact and lightweight binocular will serve you best. To know how to choose binoculars for safari, there are several factors to consider. Ideally, choose a binocular with a 32 mm objective lens and an 8X magnification. Anything below 32 mm and you will struggle to view animals at dawn and dusk. On the other hand, anything above 42 mm will be too hefty and bulky for you to carry around. Apart from magnification and objective lens, it is also important to consider a binocular’s ruggedness. Going on a safari means high temperatures, rainfall, dust and frequent movements. An excellent safari binocular should be waterproof and be filled with either nitrogen or argon gas to keep the dust at bay. When you are shopping for a binocular for hiking size and weight will be your primary concern. After all, you do not want a binocular weighing you down. For hiking, I recommend going for a ﻿﻿compact﻿﻿ binocular with either a 20 mm or a 32 mm objective lens. As for the magnification, settle on an 8X magnification. This gives you a good balance between magnification and wide field of view. Overall, go for a roof prism binocular or a reverse Porro prism model. Roof prism binoculars are more compact compared to Porro prism binoculars. The housing of the binocular should be robust. Thus, a good hiking binocular ought to have a rubberized exterior. These are the main things to note when you want to know how to choose binoculars for hiking. The main specs to look out for in a binocular for hiking are. While some may opt for a telescope for stargazing and astronomy, there are many reasons why a binocular is better. For starters, binoculars are easier to hold than telescopes. There is a variety of astronomy binoculars you can choose from. When you are wondering how to choose astronomical binoculars, there are several things you will have to consider. Number one is the magnification and objective lens. If you want a detailed view of the sky, a large binocular with a magnification of between 15X and 30X will be ideal. This magnification should be matched by an objective lens of 50 mm to 70mm. Since you will be using your binoculars at night, the large objective lens will give you a brighter view. The design of astronomy binoculars is also different. Due to their large size, it is recommended to use astronomy binoculars with a tripod. There is a lot you can do with a pair of binoculars on a starry night. However, you have to learn first how to choose astronomy binoculars for stargazing. The first factor to consider will be the magnification. Ideally, a 7X or a 10X magnification will give you a clear view of the sky. This magnification should be complemented by a 50 mm objective lens. Therefore, a 7X50mm Binocular or a 10X50 mm will be ideal. However, it is important to note that the latter binocular will be more difficult to steady than the former. Nevertheless, you can get binocular with an in-built image stabilizer. This feature helps a binocular be stable when in use. Canon is a company synonymous with making high-quality image stabilizer binoculars. Thus, I recommend going for a Canon model. Essentially, the binocular you choose for stargazing should have the following specs. Sometimes when you are in a crowded stadium getting a clear view of the sporting activity can be difficult. This is where a pair of binocular comes in handy. For sports, a compact and lightweight binocular is recommended. Personally, I recommend a binocular with a magnification of 6X and an objective lens of not more than 32 mm. This configuration offers the best balance between magnification and field of view. Another important feature to consider will be a binocular’s close focus range. This is because in some sports you might want to get a detailed view from a short distance. Arguably the most sought after binoculars are military grade binoculars. These are binoculars designed to be used on the battlefields. Though they are used primarily by armed forces, they are also available to civilians. 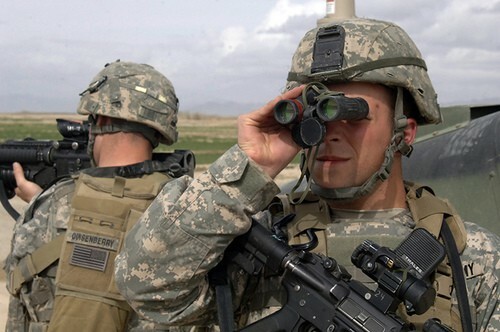 If you want a military binocular, then you have to be prepared to avoid certain specs. Since battlefields are rugged and cruel, military binoculars need to be tough and rugged. Mainly, the best military binoculars are made from aluminum or magnesium alloy. As for the magnification, these binoculars need to be lightweight thus an 8X magnification will do fine. This magnification is complemented by a 42 mm objective lens. There is no reason to have fancy specs such as a digital camera or a zoom feature on these binoculars. Therefore, keep away from binoculars with such fancy features. Instead, seek binoculars with either a built-in compass or rangefinder. Military binoculars also come with a head mounting for easy mounting onto a soldier’s helmet. In essence, to learn how to choose military binoculars to consider the following specs. If you are wondering how to choose a good pair of binoculars for boating or fishing, then this section is for you. The best marine binocular is one with a 7X magnification and a 50 mm objective lens. 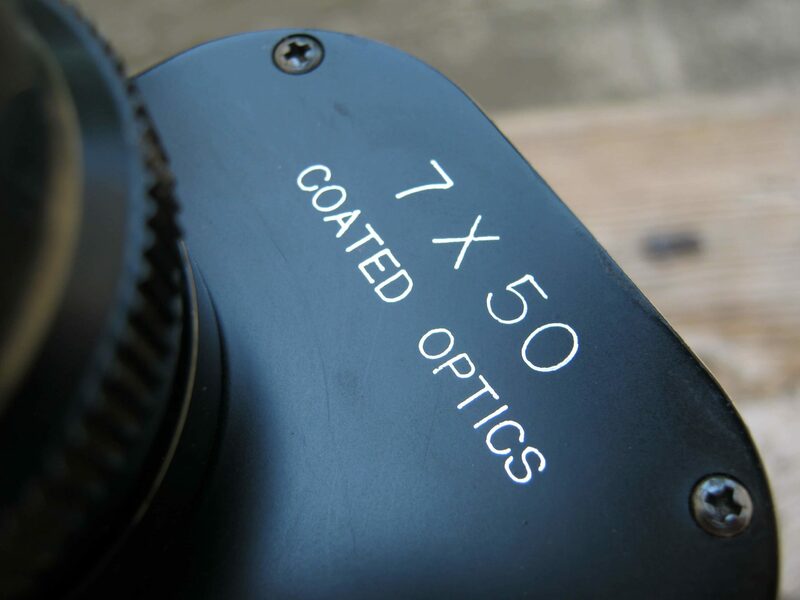 The 7x magnification is ideal because of the unstable nature of boats. Anything above 7X will be unsteady to hold. Complement this magnification with a 50 mm objective lens, and you get a generous field of view and resolution. But you can choose 8,10,12 even 16 magnification if the binoculars have image stabilization feature. Also keep in mind that the more magnification the weight of the binocualrs will increase. I will advise either you get a pair of binoculars 7x if it doesn't have IS (image stablization) and choose 10 or 12 If it have IS feature. The prisms of the best marine binoculars are crafted from Bak4 glass and not Bak7 glass. Needless to say a marine binocular need to be waterproof as you will be coming into contact with water. 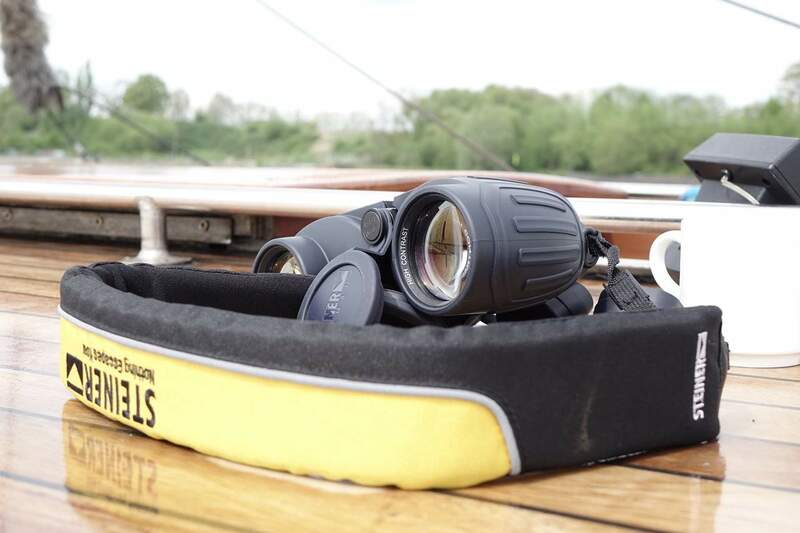 To improve your views while fishing or boating buy binoculars with fully multicoated optics or lenses. A long eye relief of about 25 mm is recommended for marine binoculars. In summary, different binoculars are designed for various applications. Therefore, you have to get a binocular that meets your needs. Needless to say, to get value for your money you will need to know how to choose best binoculars or simply how to choose a good pair of binoculars. Hey Brandon, Thanks for being with us. We are trying hard to provide some awesome insightful content to our readers. Keep in touch. Cheers! Just wish to say your article is as astonishing. The clarity in your post is simply great and i could assume you are knowledgeable on this subject. Fine together with your permission let me to grasp your RSS feed to stay up to date with impending post. Thank you a million and please keep up the enjoyable work. Lots of thanks that you liked our post. Keep in touch with us. Cheers. I like the valuable info you provide to your articles. I’ll bookmark your weblog and check again right here regularly. I’m moderately certain I will be informed many new stuff proper right here! Good luck for the next!